I took these pictures on Sunday afternoon after I came back from a long walk with the dog. It was cold, but sunny and the birds were out in force singing. 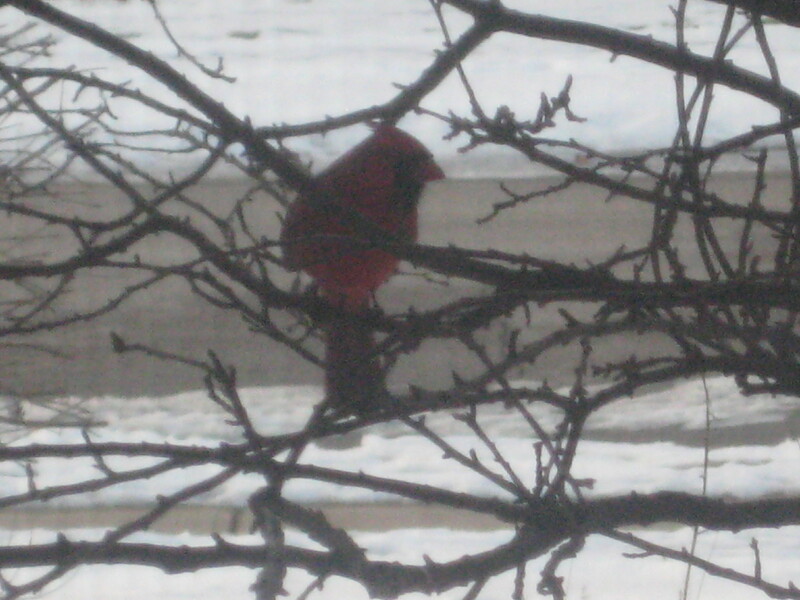 The cardinal is in the tree I see outside my office window and the robins are in the backyard under the feeder. 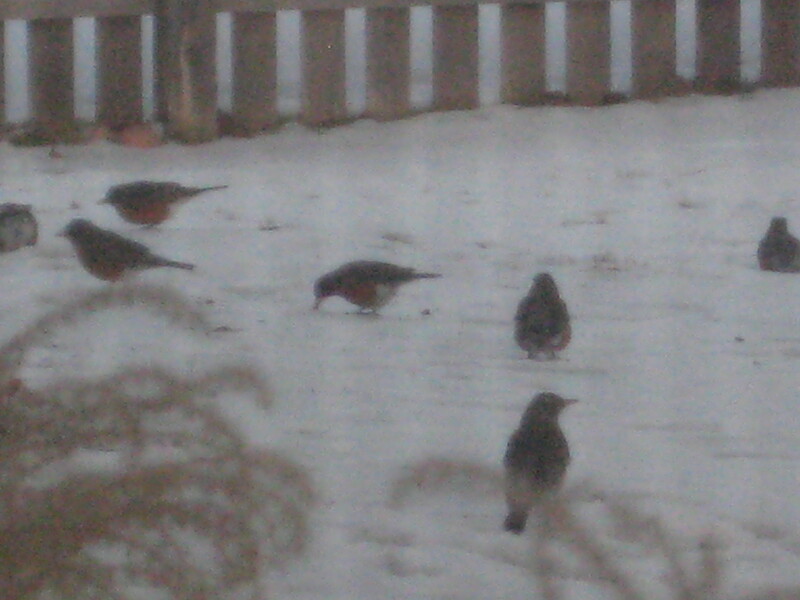 Do robins fly south for the spring? I’m not sure, but there were at least a dozen in the yard and it gave me hope that Spring is on the way. The crazy Indiana weather had me fooled, however. Tonight, Monday, we are in the middle of an ice storm! They’ve already canceled school for tomorrow – my kids are very happy about that – and my dentist called earlier today to cancel my appointment for tomorrow as the office is closed. Perhaps I’ll have some beautiful pictures of ice covered trees to share tomorrow. 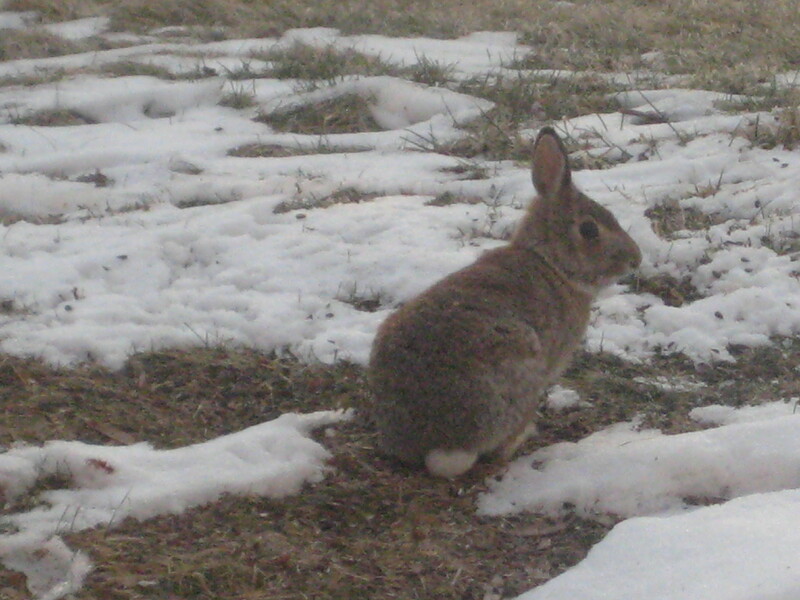 I wonder where the rabbit I saw in the yard this morning will be tonight?